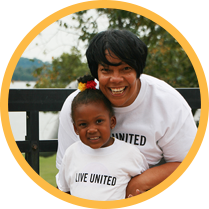 United Way of the Greater Dayton Area is a community impact organization. In order to create positive solutions for social issues on a large scale, individuals and organizations must align efforts and work collectively towards clearly defined goals. 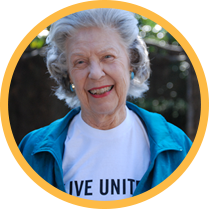 United Way of the Greater Dayton Area community impact approach address people’s immediate needs, but also work collaboratively with other partners in the community towards changing systems so that people can avoid challenges altogether. It is about investing in the present as well as the future. To meet human service needs and find long-term solutions in the Dayton region by engaging the greatest number of donors, leaders, and volunteers and partnering to advance the common good—is currently accomplished through three community impact strategies: Community Investment, Community Impact Initiatives and Programs, and Community Engagement. It is our responsibility to our community and donors to maximize our community impact. 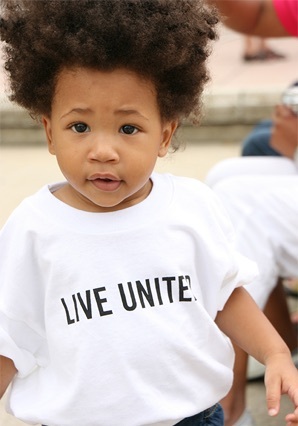 The United Way of the Greater Dayton Area will remain committed to the building blocks for a good quality of life—education, income and health—and employ specific strategies in each of these areas to address the overall issue. United Way will also continue to rely on and grow powerful partnerships to fill critical service gaps in the community. A program designed to provide children with their own personal library of 60 quality books by the time each child reaches the age of five. Greene County Public Library is leading the effort in partnership with UWGDA. A 6-week, literacy based program to eliminate summer slide for elementary students in Montgomery County. These community-centered 'hubs' in Dayton Public Schools provide academic support and offer additional resources to children, families and neighborhoods through strategic partnerships. Providing books for children in families participating in Parenting Time Opportunities for Children. The child receives two copies of the same book, one at moms and one at dads to encourage reading as well as building a bridge for parents to equally invest in their child’s education. This is a partnership with Montgomery County Child Support Agency. United Way works in close collaboration with both of these regional efforts around shared issues, goals and results. Helps eligible wage earners access free, quality tax prep and provides wealth-building opportunities. A United Way-led effort targeting families at imminent risk of homelessness to improve housing stability and academic stability for school-aged children. Investment is made to address the issue of homelessness and to support individuals and families in achieving housing and financial stability. Montgomery County is leading the effort in partnership with United Way. Investment is made to address the issues facing our regions senior citizens Montgomery County is leading the effort in partnership with United Way.